When I did my landscaping a couple years back, I put in some sour orange trees. They are very attractive in the landscape with shiny, dark, evergreen leaves, and bright orange fruit. Of course, I also had a culinary ulterior motive: marmalade. After some study I chose the Chinotto orange (Citrus aurantium var. myrtifolia), referred to as a “Myrtle-leaved orange” in English. While it is not exactly the same as the Seville orange of marmalade fame (Citrus aurantium 'Seville'), it is very close, and frankly it is a more attractive plant. Eventually my three trees were so heavy with beautiful orange fruit that I was afraid their branches might break. Time to cook! I read over several marmalade recipes, but I wasn’t entirely happy with any of them. In the end I decided that I wanted to go with a no-added-pectin approach. I chose three recipes and picked the parts I liked from each. One was from David Lebovitz. The second appeared on the Simply Recipes site. The final recipe was by “The Marmalade Man” - he does call for added pectin, but hey, he’s “The Marmalade Man,” right? There is much debate as to whether true orange marmalade is made with or without the peels’ pith. There are those that claim that keeping the pith will make the marmalade too bitter. Others say that is not true and that the pith is valuable for its pectin. A quick review of the recipes on PunkDomestics.com shows both sides of the argument. A year earlier I had tried making Kaffir lime sorbet that came out so bitter that it was borderline inedible - even after hammering it with sugar. So, for my marmalade I decided to take the advice of the “no pith” crowd. The problem is that to make marmalade without added pectin and without pith, requires separating out all the parts of an orange, using what I wanted (zest, juice, and pectin from the seeds) and keeping the rest from the finished product. Unfortunately, the oranges had other ideas about being dismembered. To make matters worse, my oranges were clearly far smaller than those being used by the various recipes’ authors. In all of the images accompanying the recipes, the oranges appear to be a good two to three inches in diameter. My harvest had produced 50 or 60 oranges, ranging from ½ inch to maybe two inches across. This multiplied my challenge many times over. Initially working from Lebovitz’s instructions, I cut all of my oranges in half and laboriously juiced them – keeping the juice in one container, the seeds and guts in another, and a hefty pile of shells in a third. This process took so long that I ran out of time to do anything else that day. I moved each bowl of citrus-parts into containers and put them in the fridge overnight. 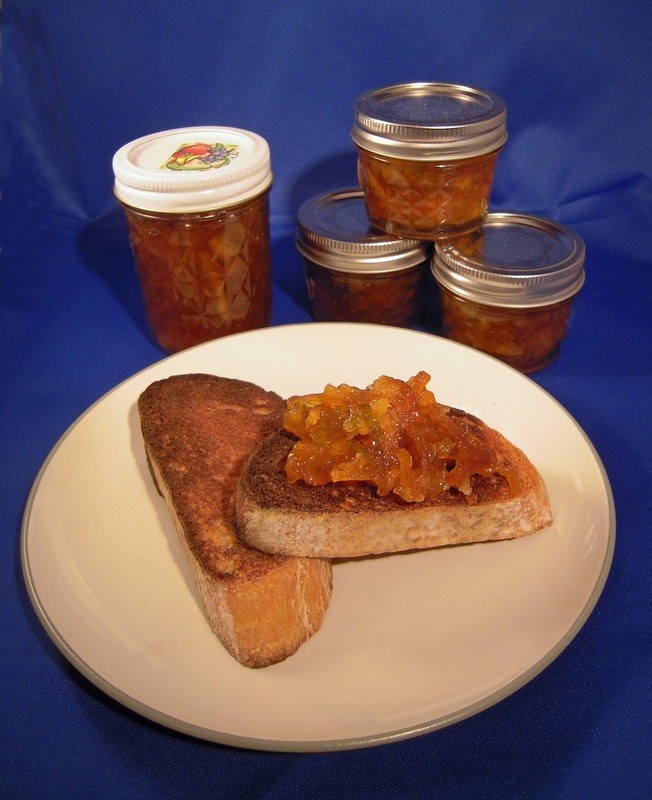 The next day I soldiered on, intent on creating the best marmalade ever to grace a slice of toast. Lebovitz’s next instruction is to thinly slice the peels, but, since I was going “pith free,” I switched over to Simply Recipes for instruction. They merely say “Taking a clean juiced orange half rind, use a spoon to dig out as much of the white pith as you can.” OK. No problem. Well, actually, problem. It seems that my orange rinds were reluctant to part with their piths. 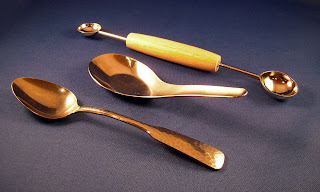 I tried all kinds of spoons, including my favorite go-to spoon for scraping - a metal flat bottomed Asian spoon [Which is also my favorite spoon for tasting and a dozen other things]. No joy. I tried a melon-baller, but it was just a modest improvement. I tried smooshing the halves flat and scraping with a knife. Nope. I tried slicing the rind from the pith with my chef’s knife and then with a mandolin. Even with a Kevlar glove that was a waste of time and potentially dangerous. Two hours later I had cleaned the pith from less than a quarter of the oranges and made a hell of a mess to boot. I gave up, put everything back in the fridge and cleaned the kitchen. Returning to the task the following day – day three and I hadn't fired up the stove yet – I looked at the bowl of orange rinds with grim determination. Clearly this was a job requiring hardware - real hardware, not the delicate tools of the kitchen. This required power tools. I descended to my workshop to consider my options. Among my plumbing supplies I found my answer: a fitting and cleaning brush. I cut the handle off with a hacksaw, fit the shaft into my nice, lightweight, compact Milwaukee lithium-ion drill, and headed back to the kitchen to do battle. I threw the container of orange peels into the sink and hit them my with homemade power reamer. Good golly Miss Molly, the pith went flying. A half hour later the sink was caked with orange pith and the brush was ruined, but all of my orange peels were clean as a whistle. 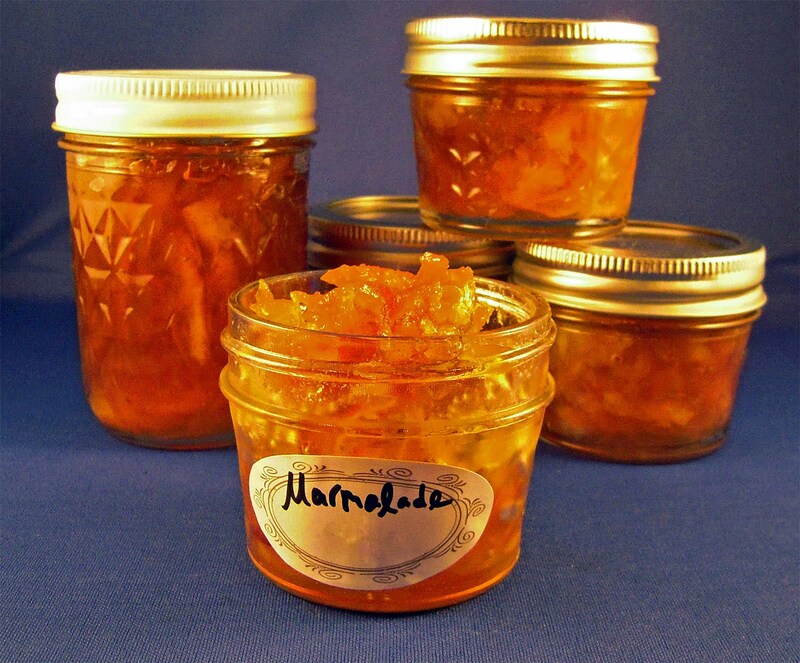 A few hours later I had my first batch of homemade, home grown, home-MacGyerized marmalade. It only took 3 days, and I can honestly say that it is the best orange marmalade I have ever tasted. MacGyver is a verb! Good job on the marmalade. I'll have to try making it sometime..
BEST. IDEA. EVER! You WIN, sir! Good grief what a to-do! I have a chinotto tree laden with fruit and have been searching for a drink or syrup recipe. No joy I'm afraid. However this looks like the go. Once you had all the ingredients ready what were the quantities of liquid, peel and sugar? I love chinotto oranges. But no way would I go pith-free using chinotto. I admire your resolve. I've never liked marmalade, but my mother took it very seriously, especially since it was hard to find in the U.S. back in the day. She once accidentally bought bitter oranges at the North End farmer's market and was very excited. She went back the next week to get more, but the vendor refused to admit he had ever sold a bitter orange, despite the fact that this was what my mother wanted to buy more of.